A Will typically accomplishes two primary things. First, it directs who will receive your “estate” after your death. Second, it provides instructions about what should happen after your death, including who should care and provide for your children or dependents. Your estate includes furniture, jewelry, cars, bank accounts, business, property and real estate that you own. In a Will, you can direct who is to receive a portion or all of your estate. While each state may have different requirements for creating a valid Will, a valid Will in Minnesota must be a written document signed by a person who is at least 18 years old and of “sound mind.” In addition, two witnesses must also sign the Will indicating that they witnessed the person’s signature or were present when the person making the Will acknowledged that he or she signed the Will. 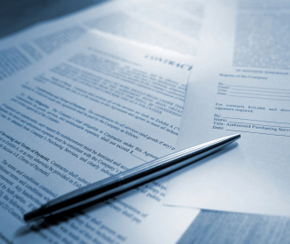 An attorney can assure that the requirements to make a valid Will are strictly followed. You can provide little instruction or very detailed instructions in your Will. Usually, though, a Will provides instructions for the care of any children and also names a “personal representative” to manage and distribute your estate after you die. The personal representative, which can also be a legal entity, gathers your property, pays any debts and taxes, and distributes the balance of your estate to the people or organizations you have named in your Will. In my Will, can I refuse to provide for some members of my family? Specifically excluding a person from inheriting part of your estate is called “disinheriting.” A married person cannot disinherit a spouse without the spouse’s consent. You may specifically exclude or “disinherit” a child as long as you are clear about it in the Will so that the disinheritance does not appear to be a mistake. If you die without a Will, Minnesota law determines who receives all or a portion of your estate. Though there are exceptions in the law, the balance of your estate would usually go to your spouse, if your spouse is still alive. If your spouse died before you died or you did not have a spouse, the balance of your estate would go to any children. Generally, if you are not survived by a spouse or children, Minnesota law would distribute the balance of your estate to your parents, siblings or cousins, though it depends upon who among your legal heirs are still alive at the time of your death. If you have no surviving family and die without a Will, the balance from your estate would usually be paid to the State of Minnesota. If I have a Will, does my family avoid probate? Not necessarily. Probate is a court proceeding that manages and settles your estate. If there is property to be administered or taxes to be paid, the existence of a Will does not necessarily avoid probate nor does it increase the expense of the probate process. If all of your property is held jointly or in trust, however, probate may not be necessary after your death. If you are concerned about probate, we can help you decide the best plan for your circumstances. What about life insurance and retirement benefits? If you have a Will, certain property or benefits may be distributed to your spouse or others even though it is not mentioned in the Will. Typically, life insurance, retirement benefits, joint tenancy property and property in a “living trust” are distributed directly to the beneficiaries named in the policy, plan, or trust. If you own certain property specifically as a “joint tenant” with others, that property will go directly to the other joint tenants who are alive after your death, without regard to how you have distributed your estate in a Will. A Will remains effective until it is changed or revoked. We recommend, however, that you periodically review your Will to assure that it provides for your family as you originally planned or to take into account new or changed circumstances. If your Will does not include changes in your life that occurred after you created the Will, the Will may not accurately reflect how you would want those circumstances addressed at your death. You should consider reviewing and changing your Will when you marry or divorce, if there is a birth or death in the family, a named guardian for your children dies or is no longer available, the value or type of your property changes significantly, or you move to another state. Can my personal representative handle my affairs if I become too sick to do so myself? No. A Will takes effect only after your death. If you want someone to handle your affairs if you become disabled or incompetent, you should talk with us about a number of options, including a health care directive. In 1998, Minnesota law authorized the use of health care directives, which allow you to appoint a health care agent to make health care decisions when you become unable or unwilling to make or communicate such decisions, and to give instructions as to what choices you prefer. The health care directives law combined and replaced what was previously called a Living Will and a Durable Power of Attorney for Health Care. A health care directive can outline and describe your preferences about issues such as surgery, nursing home or specialized care, medication, religious concerns, funeral planning, organ donation and the types of life-sustaining procedures you may want or not want for yourself. You may have heard about “death taxes” or taxes that an estate must pay from available property. Most estates do not have to pay federal or state “death taxes” because the property of the estate is not greater than the amount required for taxes. Nevertheless, if you have substantial assets, there may be substantial income tax consequences associated with your death. After death, little can be done to relieve an estate from adverse tax consequences caused by the lack of a Will, a trust or a proper estate plan. An important purpose of a Will can be to reduce the taxes that will have to be paid at your death and at the death of one or more of the beneficiaries of your Will. We can discuss those options if taxes are a concern for you. I’ve relied on Lauri for a number of legal services and transactions, for both business and personal needs. She truly is my lawyer for life.